Nilanjana Roy spent most of her adult life writing about humans before realizing that animals were much more fun; The Wildings is her first novel. She writes a regular column for the Business Standard and the International Herald Tribune, and her fiction and journalism have appeared in several journals and anthologies, including The Caravan, Civil Lines 6, Guernica, the New York Times’ India blog, Outlook and Biblio. Some of her stories for children have been published in Scholastic’s Spooky Stories, Science Fiction Stories and Be Witched. She is the editor of A Matter of Taste: The Penguin Book of Indian Writing on Food. She lives in Delhi with two cats and her husband. Click here for more stories by Nilanjana Roy. I was telling my friend about my story-in-the-making (it’s about an underground colony of cats!) and he said, “Have you read The Wildings, by Nilanjana Roy? You have to.” Wanting a model for my story — and also intrigued by the premise, a colony of cats in Delhi — I bought it immediately. The Wildings follows a cat colony in the Delhi neighborhood of Nizamuddin as they encounter two of their biggest challenges in living memory: the appearance of a new and oddly powerful “Sender,” and the incursion of a group of ferocious feral cats into their territory. 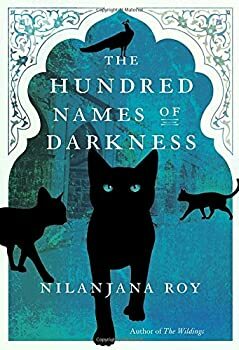 In The Hundred Names of Darkness, Nilanjana Roy comes back to the cat colony she so convincingly established in The Wildings, back to the neighborhood of Nizamuddin in Delhi, and her irrepressible young Sender, Mara.